Provide comfort for the family of Zvonimir Erzetic with a meaningful gesture of sympathy. 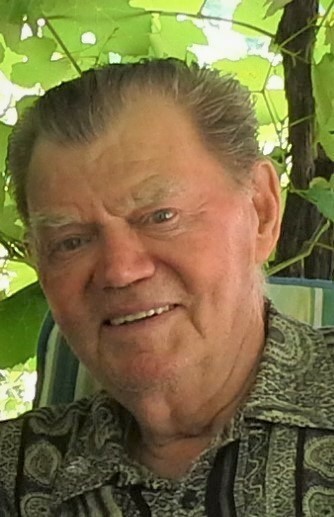 Zvonimir “Zvonko” Erzetic, age 88, of Thunder Bay, Ontario passed away suddenly on March 30, 2019. Zvonko was born on October 12, 1930 in Visnjevik, Yugoslavia. His early years were spent growing up on the family vineyard in the picturesque Goriska Brda wine region where he attended school in Dobrovo. His education was interrupted by the Second World War and Axis invasion in 1941. After the monarchy was abolished and Yugoslavia became a Communist country, Zvonko fled and lived as a refugee for several years in Italy. Eventually he was able to immigrate to Canada, and he became a Canadian citizen in 1961. In his early years in Northern Ontario, he worked in bush camps and drove lumber trucks. He finally settled in Thunder Bay and began work at the Saskatchewan Wheat Pool. Later he studied and become a millwright, staying with the company for more than 25 years. Zvonko married in 1964 and had a wonderful 55-year marriage with his beloved wife Maria. They raised two grateful children, Josephina and John. He was a consummate “do-it-yourselfer”, constantly working on projects around the house, as well as making wine and sausages with his brother-in-law. He was always a dedicated gardener, an avid follower of current events as well as an active member of his Slovenian and parish communities. Above all, Zvonko was devoted to his family. When John, diagnosed with Multiple Sclerosis (MS), became confined to a wheelchair, Zvonko would tirelessly drive him to work or medical appointments. And, along with Maria, he took care of John day-to-day, so he could remain at home in the latter stages of his illness. Zvonko also enjoyed spending time with his two granddaughters and Nonno would often take Paige and Cate on outings to a local park, for ice cream, bowling, or to play mini-golf when they came to visit. Six years ago, Zvonko did a tour of Italy and Slovenia together with his daughter and granddaughters, during which the four of them were happily reacquainted with many friends and family… a shared memory that will never be forgotten. Zvonko was a genuine, kind person and a man of integrity, honesty and compassion who will be missed by all those who knew him. Zvonko is survived by his wife Maria and their daughter Josephina Erzetic (Earl Stuart) and granddaughters Paige and Cate in Toronto; nephew Boris Michelussi (Judy Barrette) and daughters Olivia and Emily and their families in Hornepayne and Halifax, respectively; as well as his three sisters, Vera Simčič, Nada Kristančič and Dana Jakončič, and their families in Slovenia as well as extended family in Italy. Zvonko was predeceased by his son John Erzetic. Church bells will be rung on Friday in Oslavia (Oslavje), Italy to celebrate and remember Zvonko. A service in celebration of Zvonko's life will be held on Friday April 5, 2019 at 1:30 p.m. at Sargent and Son Funeral Chapel, 21 N. Court Street, with Rev. Antoni Fujarczuk presiding. On-line condolences may be made at www.sargentandson.com. To send flowers to the family of Zvonimir "Zvonko" Erzetic, please visit our Heartfelt Sympathies Store. Donations are being accepted for: THUNDER BAY AND DISTRICT HUMANE SOCIETY. We encourage you to share any memorable photos or stories about Zvonimir. All tributes placed on and purchased through this memorial website will remain on in perpetuity for generations. Provide comfort for the family of Zvonimir "Zvonko" Erzetic by sending flowers. We encourage you to share your most beloved memories of Zvonimir here, so that the family and other loved ones can always see it. You can upload cherished photographs, or share your favorite stories, and can even comment on those shared by others.